**,Bl. 8 (2),Hundredth Birthday of Leon Štukelj. S/Sheet with coloured olympic circles (!!!) The issued version had white circles. Included for comparisson is the normal S/Sheet signed by Leon Štukelj. This variety has hitherto been recorded only in one of our previous catalogues. 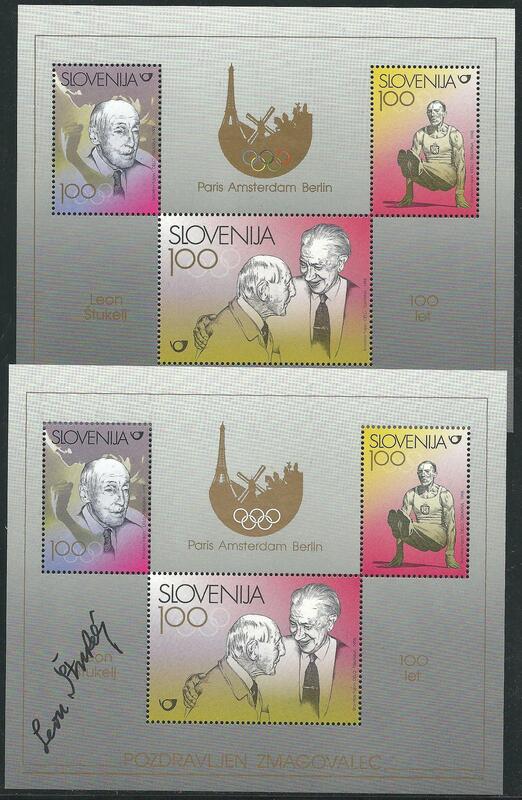 Only a few examples are known; an extraordinary item for a collector of Slovenia or Olympic Games !